Shrewsbury Town's Reuben Hazell has likened his return from an 11-month injury lay-off to making his debut. Hazell, 33, missed most of last season after suffering cruciate knee ligament damage, but returned last week in their draw at Stevenage. As a footballer, you just want to play on a Saturday, and it's been hard over the last 11 months not being involved in the first team. "I was a little bit nervous, it felt like I was making my debut again," he told BBC Radio Shropshire. "I had no thoughts about the injury, I felt fit and once I crossed that white line I was just focused." The central defender had been ready to make his first-team return at the beginning of this season following Town's promotion to League One. But he found himself behind Darren Jones and Michael Hector for place in the pecking order, before starting the Stevenage game. 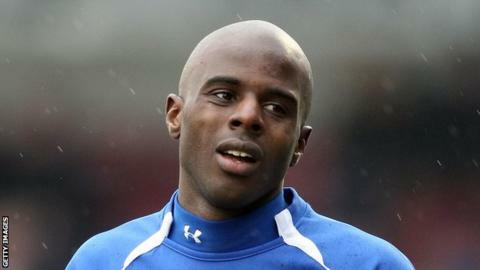 However Hazell says that he is just relieved to be back playing following his spell on the sidelines. "I'd spent a few weeks on the bench and knew I have to come in and continue what Hector and Jones had done at the back," he said. "The first 10 minutes were a bit huff-and-puff because I wasn't used to the pace, but after that I was fine. "As a footballer, you just want to play on a Saturday, and it's been hard over the last 11 months not being involved in the first team. "But I always remained positive that I'd get myself back in the team one day." And following his lengthy spell away from the game, Hazell has shown his appreciation for the support that he had around him to get through the rehabilitation process. "I think it helps when you have positive people around you, the two physios and the specialist were positive, and I have positive family members as well," Hazell commented. "You see what life's really about. Football's really important to me and always has been, but when you've got your family at home, you just think life goes on. "At the end of the day, it is a job."